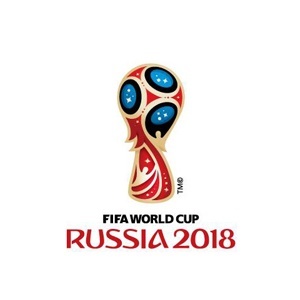 Basel - Switzerland held off Northern Ireland to seal a place at the 2018 Soccer World Cup in Russia with a 0-0 second-leg draw on Sunday that secured a 1-0 aggregate play-off victory. Away manager Michael O'Neill replaced Kyle Lafferty up front with Queens Park Rangers striker Conor Washington, while the hosts named an unchanged starting XI. With heavy rain leaving the St Jakob-Park pitch in bad condition, Northern Ireland started strongly. Chris Brunt brought a good save from Yann Sommer with a swerving long-range strike in only the third minute, before Stuart Dallas fired over from the resulting corner. In a high-tempo opening to the game, Haris Seferovic should have doubled the hosts' aggregate lead but headed Xherdan Shaqiri's vicious cross past the far post. Switzerland continued to push for a crucial opening goal, but Gareth McAuley did well to help Blerim Dzemaili's shot over the crossbar, and Benfica striker Seferovic again headed a Shaqiri delivery off target. O'Neill's visitors still looked much brighter than they had done in Thursday's loss in Belfast, but the 25-year-old Seferovic was proving a real handful as he volleyed wide from a tight angle. Petkovic's side were struggling to make the most of their early chances, though, as goalkeeper Michael McGovern got down quickly to deny Stoke City winger Shaqiri at the near post. The Norwich City keeper was called into action once more before the half-hour mark, keeping out Steven Zuber's low drive with his legs. The Swiss, who finished second to Portugal in qualifying Group B despite winning nine of 10 matches, came out of the blocks quickly after half-time with Zuber seeing an effort blocked and left-back Rodriguez drilling narrowly wide. Northern Ireland sent out a reminder that they were still in with a chance of forcing extra-time, as Washington sent a header looping away from keeper Sommer, but also the top corner. Switzerland had become frustrated by their inability to kill the tie off, and Washington created a good chance for George Saville to break the deadlock, only for the Millwall midfielder to curl tamely at Sommer. O'Neill sent on Kilmarnock winger Jordan Jones for his international debut with 15 minutes remaining. The home side should have sealed a ticket to Russia in the 85th minute, but Seferovic's poor day in front of goal went from bad to worse when he blazed over with the goal at his mercy. Northern Ireland almost made him pay with a late rally, but Rodriguez cleared a Jonny Evans injury-time header off the line as Switzerland clung on.